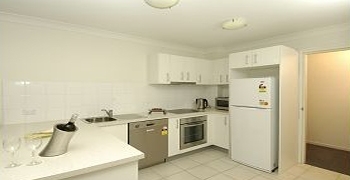 Parkview Apartments Brisbane - An ideal accommodation option for the family or the business traveller. Conveniently located to Brisbane CBD, Brisbane Convention Centre, shopping, restaurants, sports and entertainment venues, perfect for your Brisbane holiday. 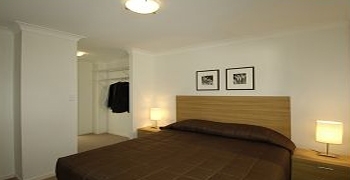 Parkview Apartments is the ideal accommodation choice for the business / corporate traveller as it is conveniently situated next to Brisbane and central to Southbank and the West End Business Districts. 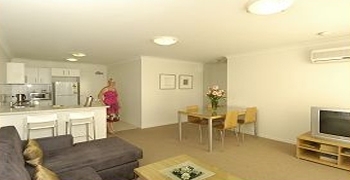 Nestled amongst the abundant restaurant district and close to all major public transport facilities. Parkview Apartments is conveniently located just minutes from the Brisbane Convention Centre, Suncorp Stadium and the Mater Hospital. Our 1 and 2 Bedroom Self-contained apartments feature full kitchens and laundries, offer reverse cycle air-conditioning and private balconies, which overlook the city, parks and gardens or our landscaped gardens and pool area. In the shaded entertainment area, is a BBQ adjacent to the pool for all to enjoy.